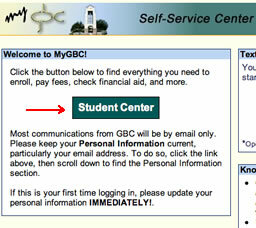 You have placed classes in the MyGBC shopping cart so how do you complete the enrollment process? Click the Enrollment Shopping Cart link. Click the check boxes next to all the classes in your shopping cart for which you are ready to enroll. Then click the Enroll button. Click the Finish Enrolling button on the next screen that appears.